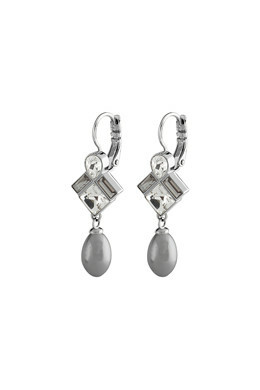 Remarkable and gorgeous drop earrings in a polished silver toned finish. The earrings are adorned with a setting of sparkling grey and white Swarovski crystals and a drop shaped grey faux-pearl pendant. These earrings will lend you the perfect splash of sparkle. With french hook closure.